December 25 – December 31. 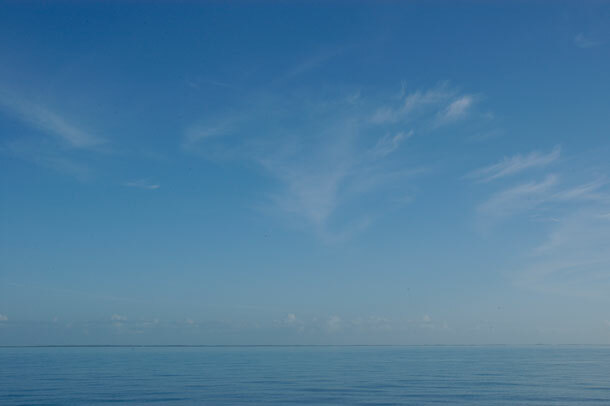 The calm blue waters of the Bight of Eleuthera. We are in Rock Sound, Eleuthera. On Christmas day we left our anchorage off the western coast of Current Island in Eleuthera and headed east as the sun, blazing orange, was just sitting on the water. We followed the rising tide as it took us through the rushing waters of the narrow Current Cut into the Bight of Eleuthera. The wind being still, we only had the strong pull of the water and the glare of the sun to contend with for a safe passage into the safer, open water. It was one of those practically windless days when the water is like a translucent ocean of silk. Jellyfish floated ethereally by and into the soft velvety wake that trailed behind us. The beauty was only spoiled by the sound of Blue Wingâ€™s engine. It was a long way to Rock Sound and we would never get there before dark if we tried to sail. I wanted to get to Rock Sound before Boxing Day, December 26. My guide book and what little information I could find on the internet indicated that there would be a Junkanoo parade in Rock Sound on that day and I wanted to see it. Junkanoo is a street parade with music dancing and elaborate costumes that has its roots in the holiday festivities of Bahamian slaves in the 18th century. As we dropped anchor in the Rock Sound harbor I saw what looked like people getting ready a float at the government dock. Yes! I thought there would be a parade. The next day we rowed to town early to inquire as to when and where the parade would be. It was the previous night in the town up the road. There would be no Junkanoo in Rock Sound that day. I was very disappointed. We have been spending our days since then waiting for a good weather window to jump to our next destination while doing the Rock Sound Shuffle, moving from one side of the harbor to the other side, two miles across, trying to stay in the lee, following the wind, as front after front blows in and the wind circles the clock. When the wind is settled we get out a little. We have met other boaters and have joined them for a happy hour on their catamaran. Greg met a guitar player in town and jammed with him at the local gas station. 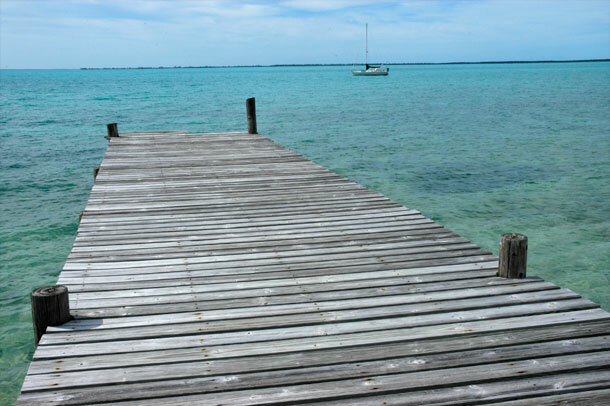 We also spend time doing boat maintenance and mapping out our trip to the Exumas. 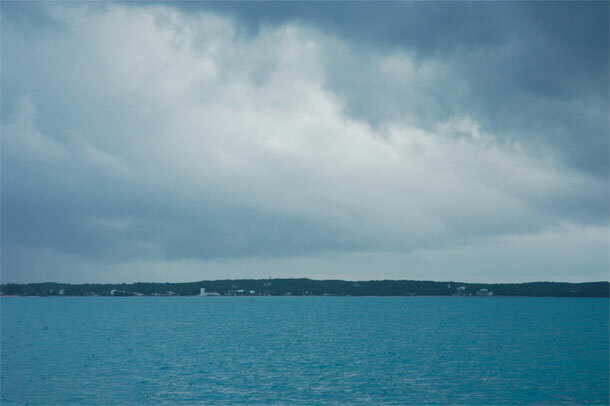 The Exumas are a 140-mile long, mostly uninhabited, island chain. We are planning to start at the top and work our way down to the cruiser mecca, Georgetown. Along the way we will hike, explore water trails, visit ruins, look for wild life, and hit the occasional inhabited town. But now we wait for that weather window, several consecutive days of steady east wind, for an easy sail across the Exumas Sound to the next leg in our Bahamas adventure. 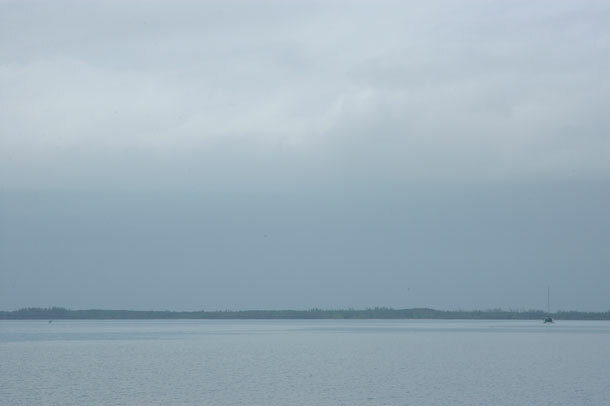 Grey clouds hover over the town of Rock Sound in the distance. Grey skies hang over the harbor at Rock Sound. 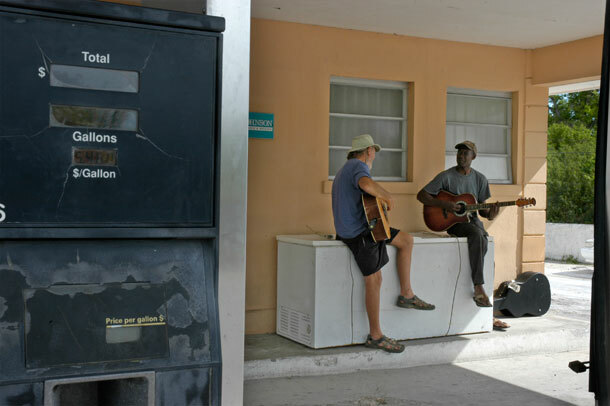 Greg plays a little guitar with Brad at Dingle’s gas station. Blue Wing waits in the harbor for our return from town. 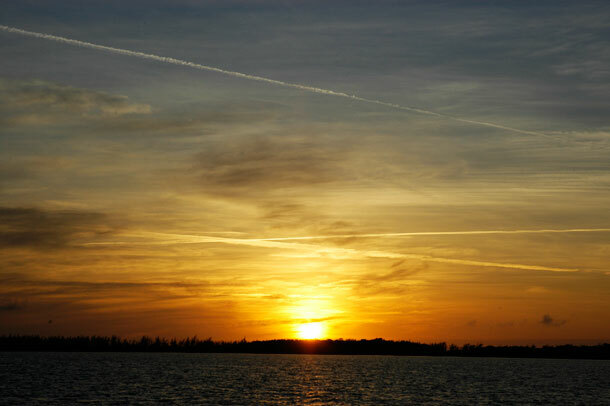 Sunset over Rock Sound Harbour. Hey there. I’m a friend of Karen Russian in Atl. You 2 are living our dream. Our plan is to sell our Atl home and buy a boat and travel the world. In the meantime, week-long charters will have to do. We will be in the Abacos the last week of April. Any “must do’s’ are appreciated. Any chance you will be in the area at that time? Where will you plan to go next, and how long are you planning to sail? Love the blog, BTW!